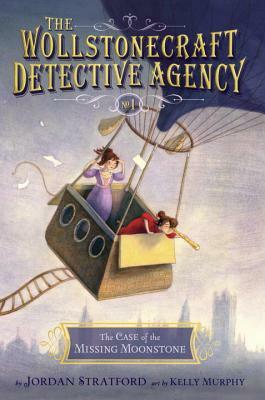 A historical mystery set in an alternative 1826 where Ada Lovelace (the first computer programmer) and Mary Shelley (the author of Frankenstein) meet as girls and form a detective agency. Their first case is the theft of a valuable moonstone, the maid has already confessed, but both girls think that smells a little fishy. This book is so much fun, action, adventure, thrills and intrigue, not to mention a cast of historical characters who pop in and out to aid the young ladies in their adventures. For ages 8-10.